IMCDb.org: 1980 Bedford VAS 5 Lex Maxeta Metropolitan Police in "London - The Modern Babylon, 2012"
Looks like a red Bedford Griffin badge. 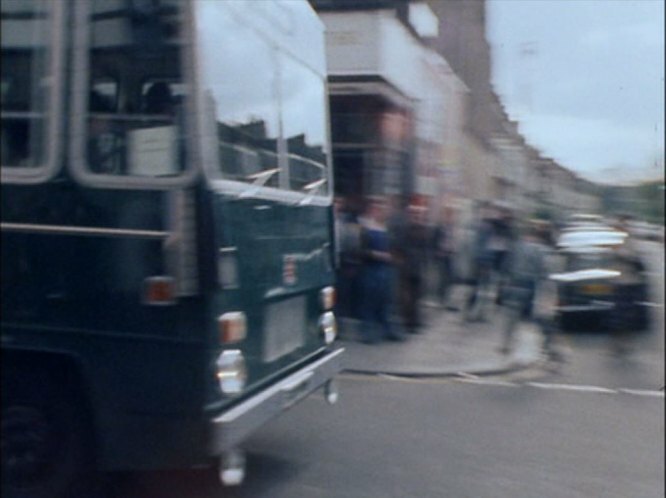 From 1962-74 all Met Police buses were Bedford with Willowbrook bodies, mostly Bedford VAS (only three early J2 chassis) however without a registration number cannot be certain for after 1974. Not a Willowbrook bodied Bedford. 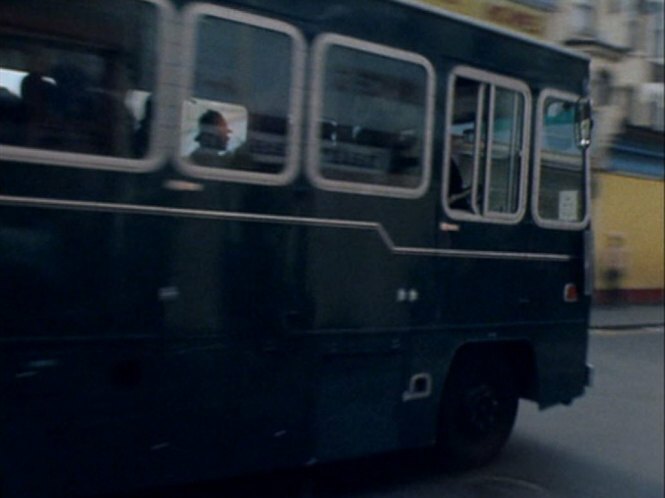 These vehicles were all new in the dark green livery which indicated that they came under the control of the Receiver of the Metropolitan Police, who was the official in charge of the finances, buildings and non "blue light" assets including vehicles. 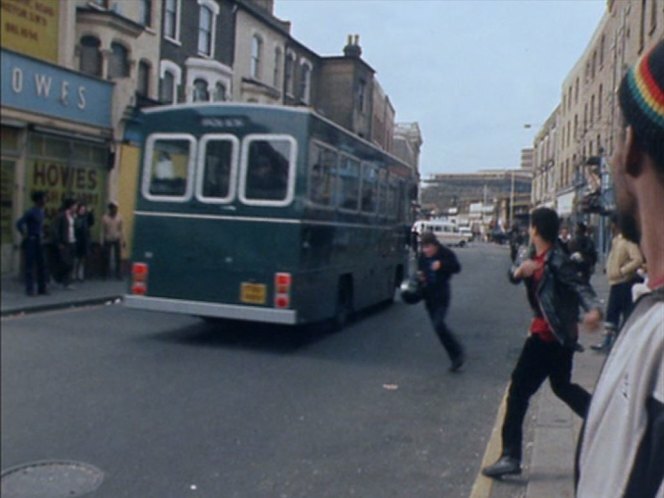 Later on in their lives the remaining vehicles were painted white (at least one was burnt out during the Brixton Riot in 1981) and three were converted into Police Mobile Control vehicles. Sorry, should have said that these were not specifically SPG vehicles, but general police transport vehicles, usually during major events and demonstrations.